Fountain, a photo by Gexydaf on Flickr. 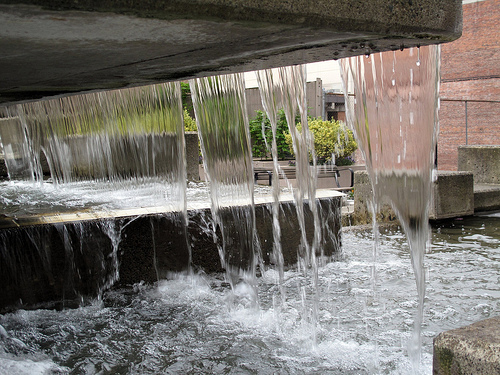 There is a concrete fountain on the corner of Broadway and South 11th Street in Downtown Tacoma. I really like how the fountain is laid out so that it can be climbed. The fountain use to have a salmon (the Peace Salmon) as part of it, but it isn’t there anymore. This entry was posted in Art -- there is art here!, Tacoma, WA State - Pierce County and tagged Broadway, downtown, flowers, Fountain, peace salmon, salmon, South 11th, steps, Tacoma on June 6, 2011 by admin.